The Netherlands’ Remote Gaming Bill has a “tough journey” to travel before taking effect as a law, Dutch Ministry of Security and Justice officials said during this year’s Gaming in Holland Conference. Dedicated to the development of the country’s land-based and online gambling industry, the event took place on June 13-14 at De Hallen Studios in the Dutch capital Amsterdam. Dennis van Breemen and Frans Maas, both being officials at the country’s Ministry of Security and Justice, were among the speakers at the event. They provided updates on the process of regulation of the country’s iGaming market. The above-mentioned Remote Gaming Bill was passed by the Dutch Lower House last summer. The legislative piece was then referred to the Senate, where it was expected to gain the necessary support and be converted into law. However, political fluctuations in the Netherlands over the past year have delayed the much-anticipated vote and have weakened the legislative piece’s previous momentum. The Remote Gaming Bill was first brought up for discussion in 2013. If adopted as a law, it would open the market to international gambling operators by allowing them to apply for a license. According to Mr. Van Breemen, the Senate may eventually focus its attention on the bill in October. If his prognosis turns right, the country’s online gaming market may be opened for licensed operations in July next year at the earliest. However, the official himself pointed out during the Gaming in Holland Conference that he was not very optimistic about that timetable. According to the two Ministry of Security and Justice officials, there are two big stumbling blocks that may hamper the Remote Gaming Bill’s progress – advertising of gambling services in the country and the lack of accord on a 2011 Lower House motion that aimed to prevent Dutch-facing iGaming operators in breach of existing laws from being eligible for a license in future. In late May, the community of Dutch-facing gambling operators and affiliate websites targeting Dutch players woke up to the news that a new, tougher, set of rules was introduced by the Dutch Gaming Authority, Kansspelautoriteit. Under the new regulations, operators must not use affiliate websites with an .nl extension to direct Dutch players to .com websites. 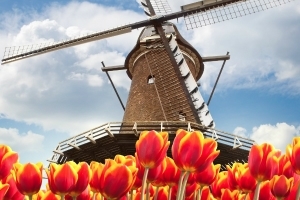 What is more, neither operators, nor promotional websites are allowed to use typically Dutch symbols, such as windmills and tulips, to promote gambling services. Gambling companies failing to block Dutch traffic are too considered to be running afoul of the new rules. The changes in the regulatory landscape resulted in a massive wave of discontent, exodus of operators from the local market, and even closure of Dutch-only online casinos.